Discovered by Galileo Galilei over 400 years ago and imaged by the Voyager 2 in 1979, Jupiter’s icy moon Europa has long been a source of intrigue. Most notably, a range of scientific investigations suggests that it contains the key ingredients for habitability — energy, chemistry, and liquid water. It was not until the arrival of the Galileo spacecraft in 1995 that the true nature and level of complexity of the surface was revealed. The array of geologic features that characterize the surface include extensive ridged plains, regions of broad disruption termed chaotic terrain, long, quasi-linear ridges that span thousands of miles, and bands up to 30 miles wide and that extend 100s of miles (Figure 1). 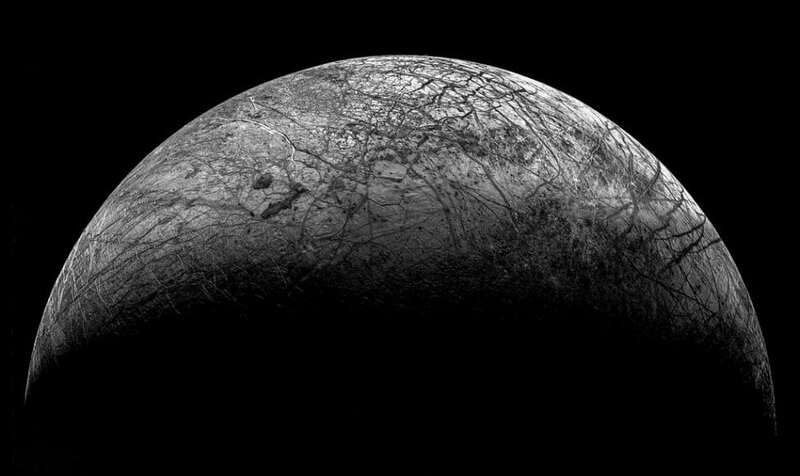 Additionally, the lack of recognizable craters greater than 5 miles across requires that Europa’s surface is young, on the order of 60 million years old. 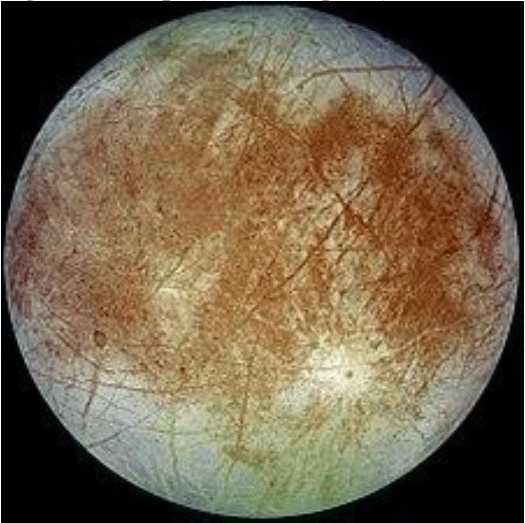 Figure 1: Image of Europa (source: Wikipedia) taken by Galileo spacecraft of the trailing hemisphere. Note the linear bands and ridges cross-cutting the surface, the red-brown mottled areas of chaos, and the whiter regions of ridged plains. The young surface of Jupiter’s icy satellite Europa raises the key questions: (1) what are the resurfacing mechanisms responsible for creating Europa’s young surface, and (2) how have these processes evolved through time? In order to address these questions, we analyzed nine frames of the highest resolution images taken by the Galileo spacecraft in 1997, where the smallest resolvable feature is about the size of a Major League Baseball diamond. These images are now over two decades old but have not been analyzed in detail until this work. In order to investigate the origin and evolution of Europa’s surface, we performed a geomorphologic mapping of the high-resolution image mosaic (Figure 2). The units in the geomorphologic map are defined by surface texture, landform shape (morphology), dimension, and relative albedo or brightness. We also established the relative timing of Europan geologic units in order to form a basis for understanding regional and local scale processes and gaining insight into the potential habitability of this icy world. Figure 2: High-resolution image mosaic (top) made up of nine Galileo SSI frames (12ESMOTTLE01 and 02, images 2378r, 2400r, 2404r, 2407r, 2411r, 2418r, 2421r, and 2425r), the westernmost (2378r) at ~8 m/pixel and the others at ~16 m/pixel. The frames were imaged at an incidence angle of ~18° and an emission angle of ~77°. Simple cylindrical projection, north is up. Geomorphologic map (bottom) of the high-resolution mosaic and corresponding key. The different material units identified are based on albedo, texture, apparent degradation, size, and general morphology. (Image Credit: Erin Leonard/Jet Propulsion Laboratory, California Institute of Technology/Icarus, DOI: 10.1016/j.icarus.2018.04.016). Our primary observations from the mapping include: the regular spacing and gentle slopes of the ridged plains terrain, the sharp boundaries and preserved structures of the chaos terrain, and the symmetry but irregular size of double ridges. We then evaluated proposed formation mechanisms for these and other mapped features. Our results indicate that ridged plains terrain likely formed through folding, double ridges formed through compaction or linear diapirism, and chaos terrain formed through water lens collapse. These preferred formation mechanisms based on new high-resolution observations of Europa’s surface indicate that Europa’s surface deformation has transitioned from a distributed to a discrete mode over the discernable surface history, possibly resulting from the progressive cooling and thickening of the ice shell. The high-resolution images also revealed an abundance of small (< 100 m) pits. Because of the distribution of these pit features, we inferred that they are the result of secondary cratering, a crater that is produced when material thrown out from a primary impact creates smaller craters on the surface of a body. The immense number of secondaries (over 1500) in our analyzed image mosaic indicates that the secondary cratering processes may also contribute to resurfacing (~0.5% of the surface). Additionally, we identified the presence of two new surface features, high albedo smooth material and fine lineations. We inferred that the presence of high albedo smooth material may be indicative of a surface process operating at even a finer scale than is resolvable by the high-resolution images. The newly-identified fine lineations are prevalent in the high-resolution images and are interpreted as a tectonic fabric, or the result of tectonic deformation of Europa’s surface, because of their orientation and location with respect to other surface features. Although image data returned by Galileo provided insight into the structure of a variety of regions, the entire satellite has yet to be observed at a regional scale and the detailed geologic nature of much of its surface remains a mystery. However, our mapping and structural analyses of one of the regions of Europa’s surface images in high-resolution aids in unravelling Europa’s complex surface history. Our key finding in this work is that local-scale resurfacing mechanisms have transitioned from distributed deformation — expressed by the formation of the ridged plains — to discrete deformation — characterized by the formation of chaos and isolated fractures. This finding is consistent with simultaneous ice-shell thickening and cooling occurring as the ice-shell deformed. We predict that remnants of the distributed deformation, such as a tectonic fabric, and the resurfacing influence of secondary cratering will become increasingly apparent with higher resolutions images from Europa Clipper, a NASA mission planned to launch to Europa early in the next decade. These findings are described in the article entitled Analysis of very-high-resolution Galileo images and implications for resurfacing mechanisms on Europa, recently published in the journal Icarus. This work was conducted by E.J. Leonard (https://www.planeterin.com) from the University of California, Los Angeles, and Jet Propulsion Laboratory, California Institute of Technology, R.T. Pappalardo from the Jet Propulsion Laboratory, California Institute of Technology, and A. Yin from the University of California Los Angeles. 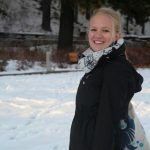 Erin Leonard is a Research Intern at Jet Propulsion Laboratory in Los Angeles, California.